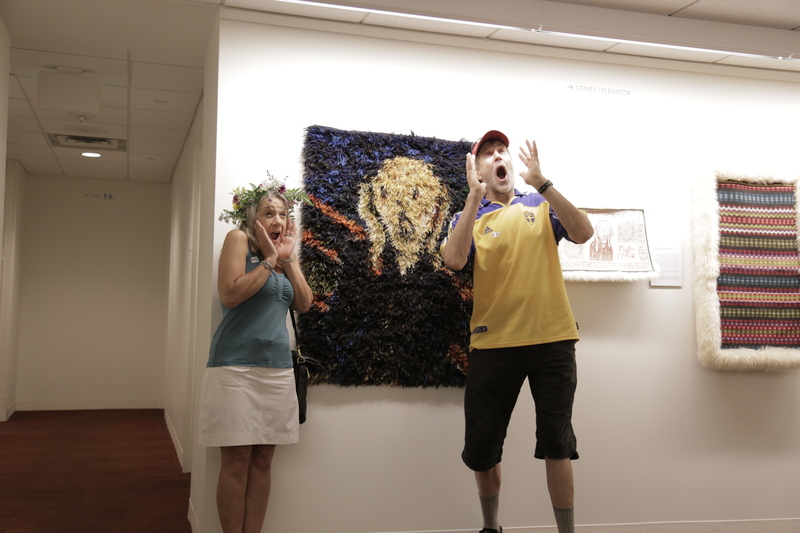 Curator Curt Pederson send me this photo taken the first weekend the exhibit was up, during the ASI Midsommar Festival. 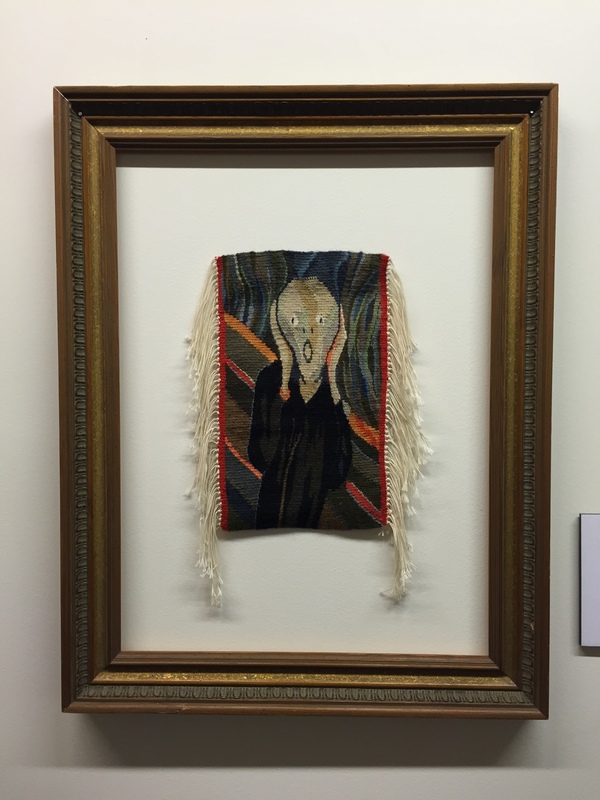 Recently Scott Pollock told me about seeing a woman he guessed was in her eighties, snapping a selfie with one of the Scream pieces. 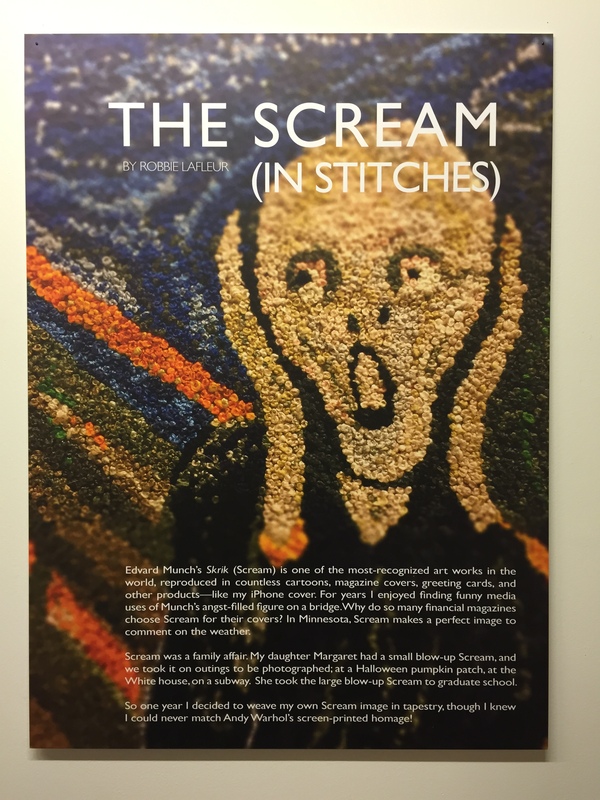 This tapestry piece was the first of the Scream series. 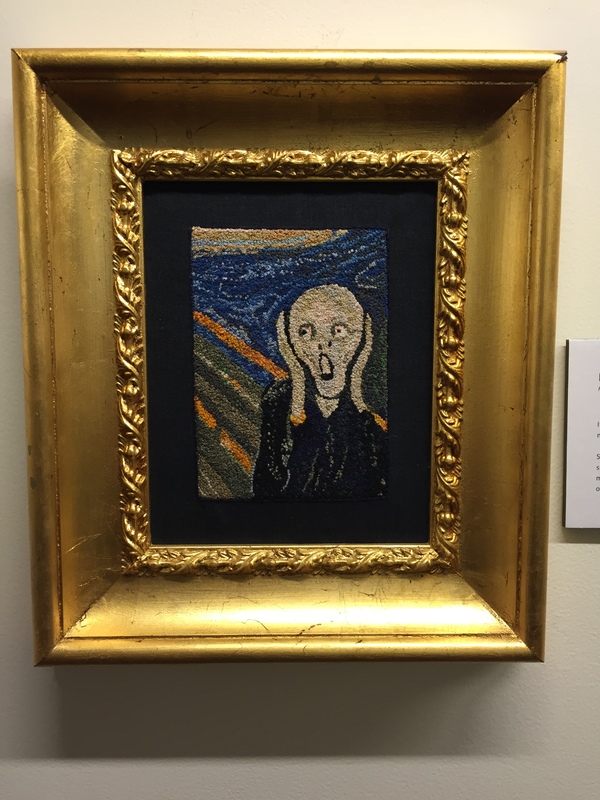 The Scream in french knots has always been a favorite of mine. And the ASI curators even made it into the wall poster! There are more pieces in the show, in a few more techniques. 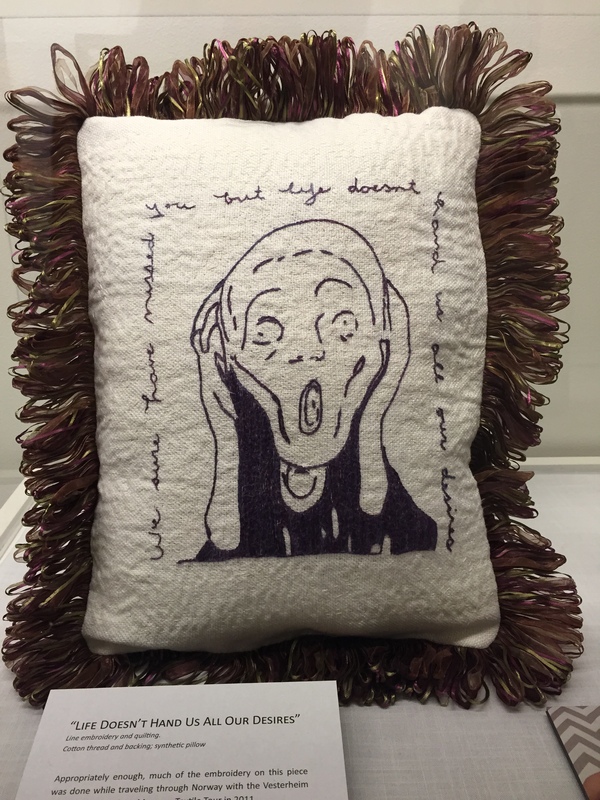 Here’s a pillow with the figure in embroidery. 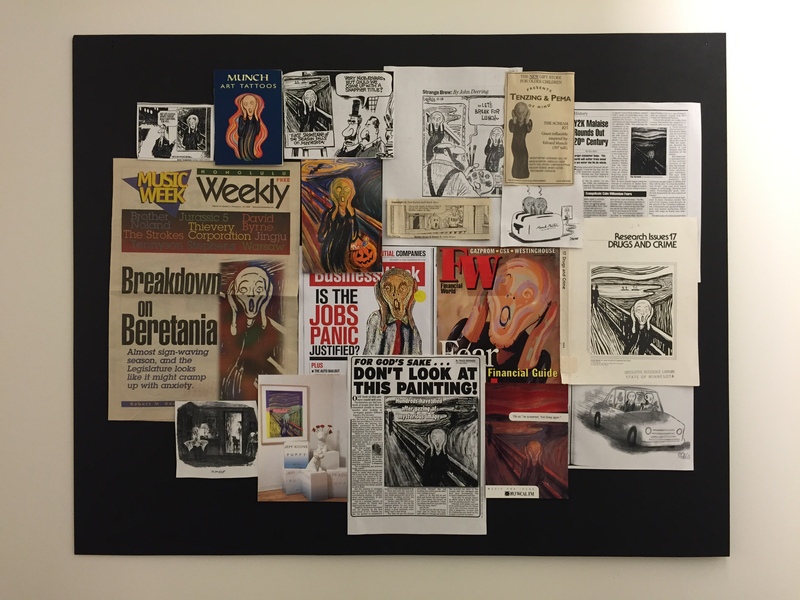 Also on display are many magazine covers and cartoons from a file I’ve been keeping over the years. That’s not even my whole collection. 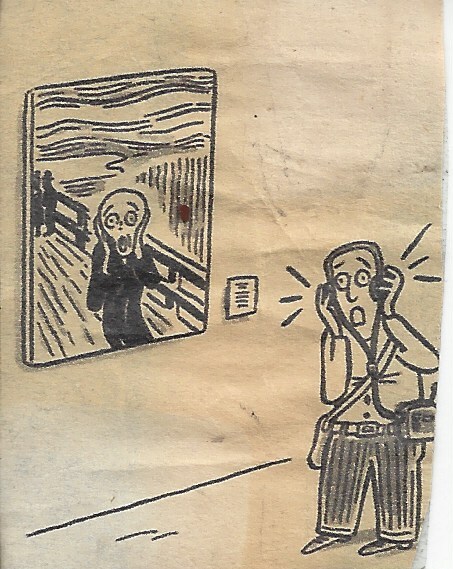 I just ran across this postage-stamp-sized cartoon in a drawer last week; origin unknown. 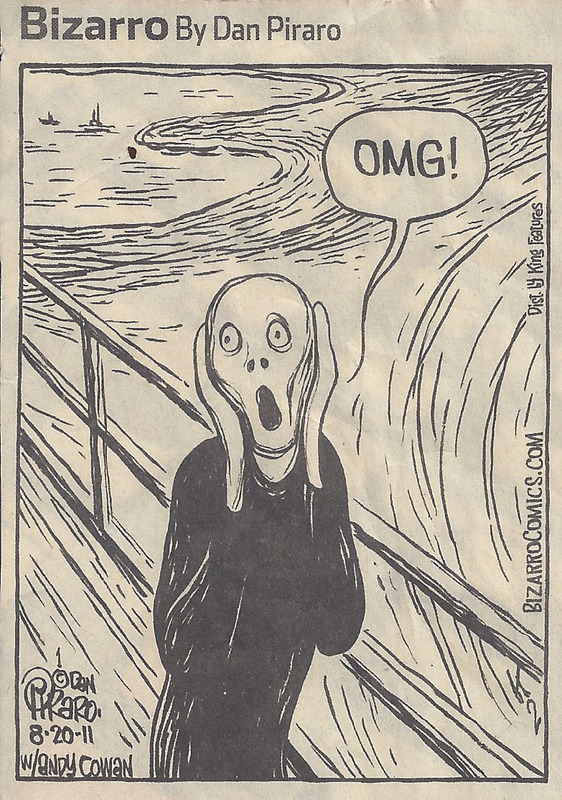 I also ran into this cartoon, which must have come out when the “OMG” abbreviation was much less common. So – OMG! This has been a fun way to share my series. I want to express my thanks to Curt Pederson and all the ASI staff who helped.